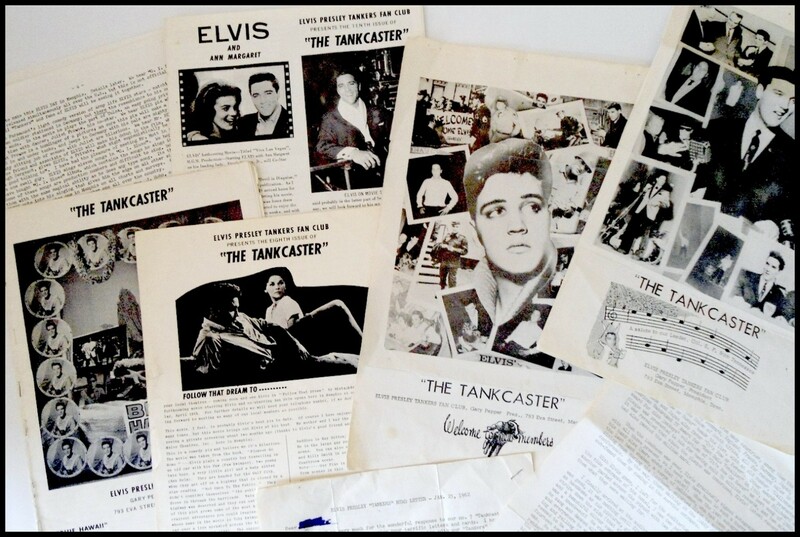 THE TANKCASTER was without a doubt the most heartwarming and intimate pubication of all fanclub magazines, and GARY PEPPER was as close to Elvis Presley as no other fan would ever be. 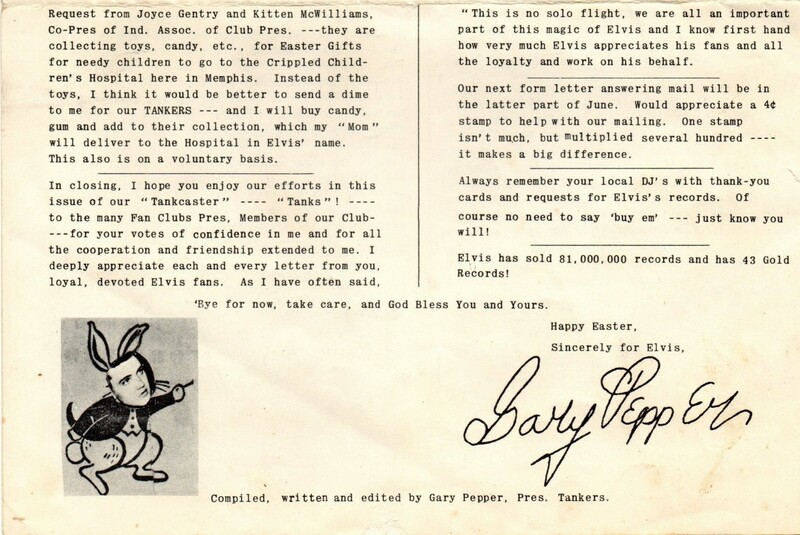 The Elvis Presley Tankers Fan Club was founded in 1958 by cousin Bobby Smith, who soon after handed it over to Gary Pepper. 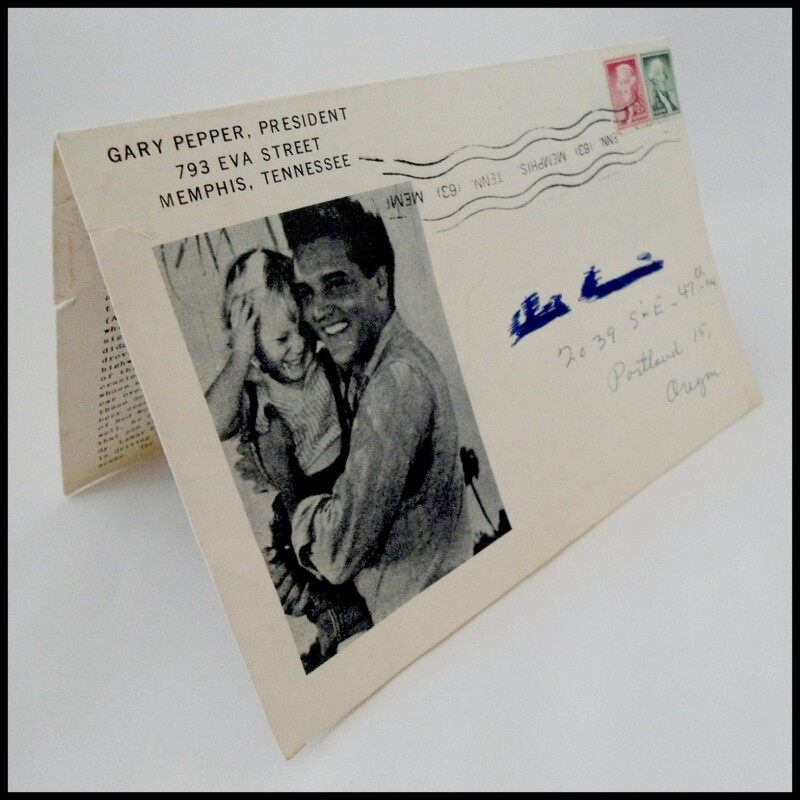 Only 10 newsletters were published irregularly until Gary had to call it quits in 1963. All of these newsletters are now very hard to find. 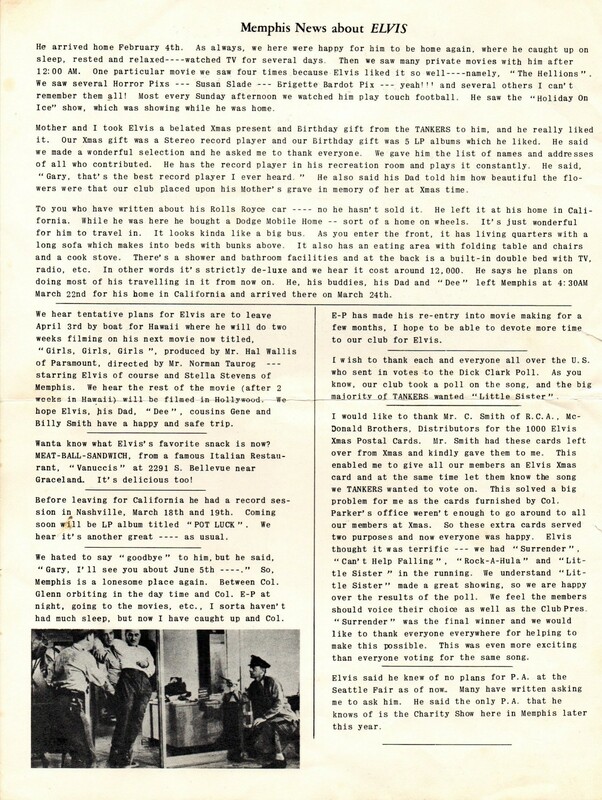 In this article we present the first in a series of original Tankcaster issues on Echoes. Since nearly all newsletters differ in both size and amount of pages, additional information will be given for each newsletter. And we will also add images of certain subjects Gary has been referring to in the relevant newsletter. 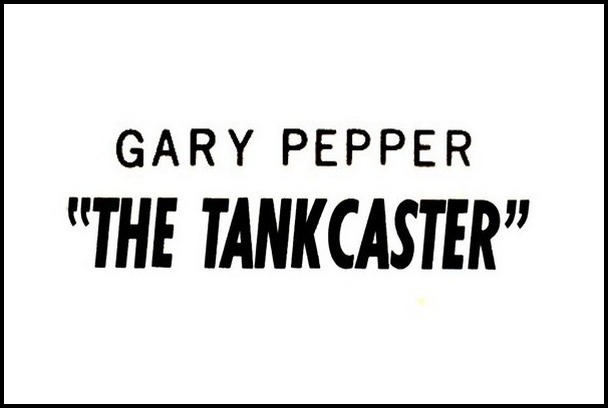 Enjoy Gary Pepper’s legendary “THE TANKCASTER”! Tankcaster No. 8 was folded in a way that a member would receive it in the A5 format. When opened you were able to read the first full page (in A4). And when unfolded yet again, you would get the two middle pages (together in A2). 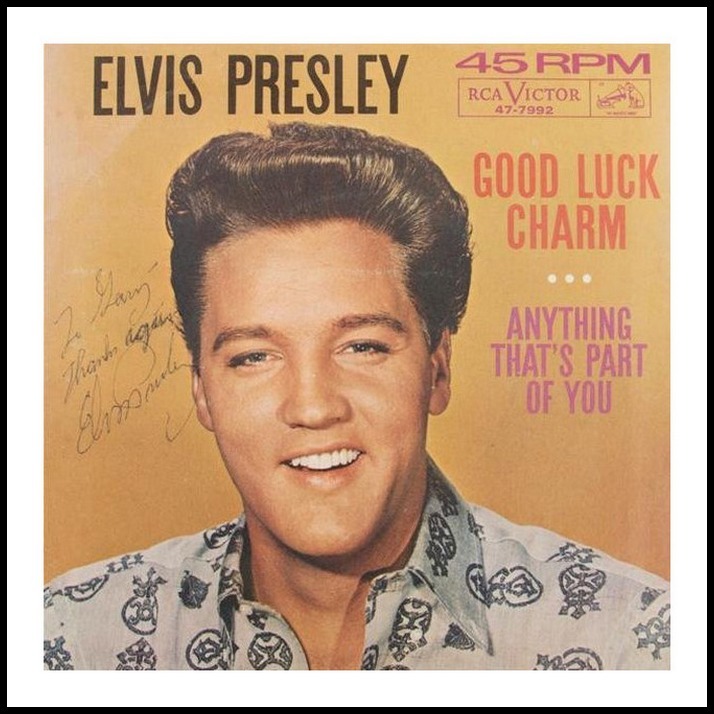 In this issue, Gary announces a contest for which the prize was a copy of Lucky Charm that Gary had Elvis sign for him. You can see this item below. 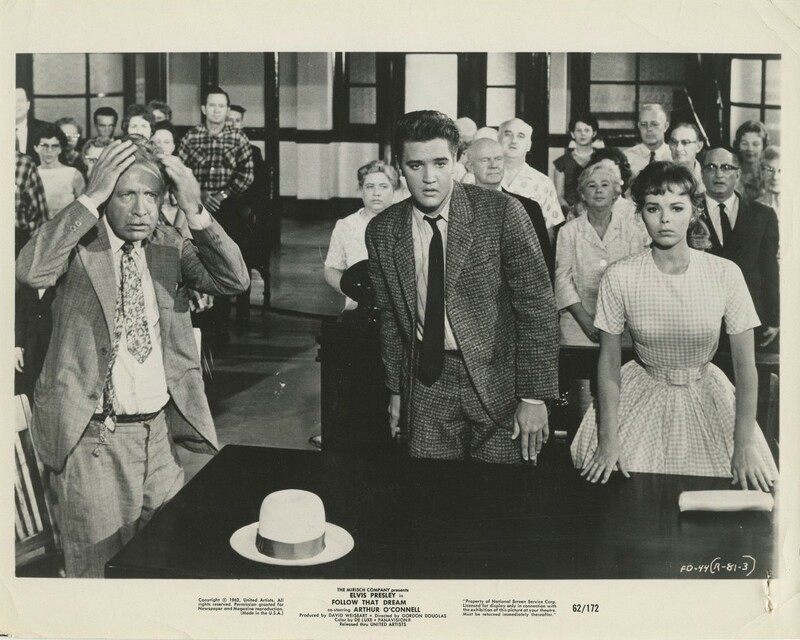 Gary mentions that Elvis’ cousins, Gene and Bobby Smith (Bobby had started the Tankcaster fan club), can be spotted in the courtroom-scene in Follow that Dream. In this publicity still they are seated in the back. 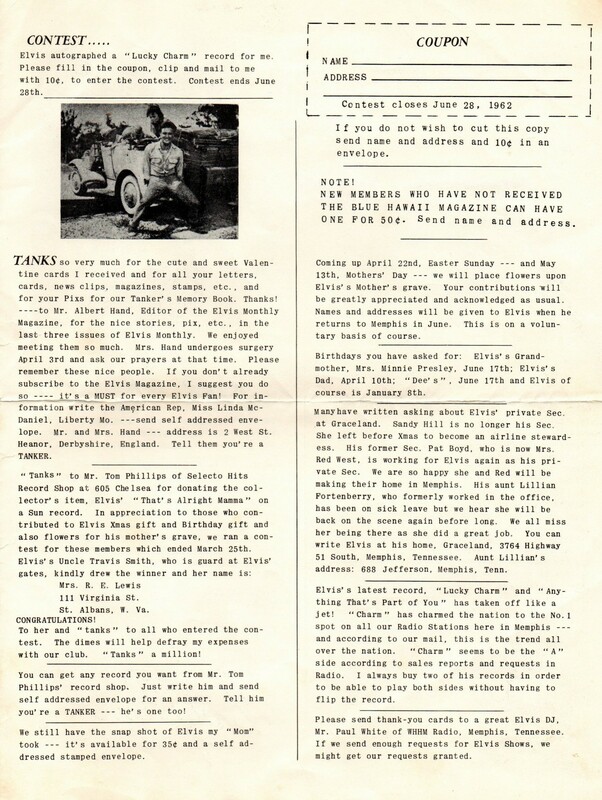 Check out the complete 1963 TANKERS ANNUAL HERE! It is loaded with rare candids taken by Gary’s mother and comes highly recommended! keep an eye on Echoes! Great stuff! Thank you so much!! Nice to read this old stuff. Thanks for the newsletter… great reading! 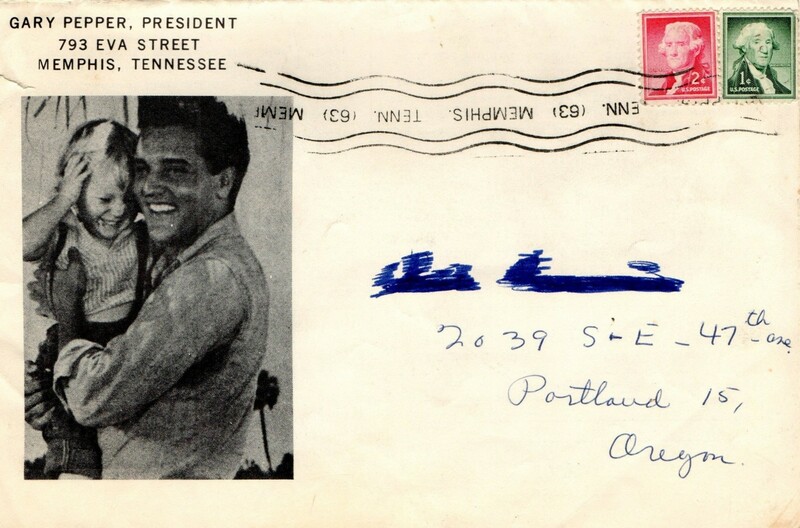 Boy, life was so much simpler back then … just throw 50 cents in an envelope to get a Blue Hawaii magazine!! !